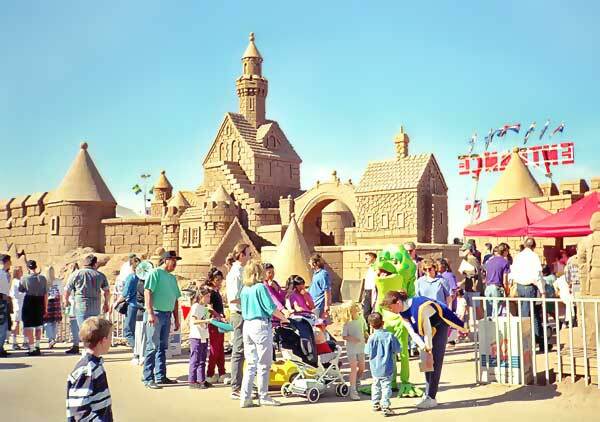 Sandcapes emerged in the mid-80's from the competitive sand sculpture scene on the beaches of Southern California. Originally performing at corporate events and summer beach festivals demand soon exploded as Sandscapes' sculptors formed the leading edge as the world's first full-time professional sand sculptors. In addition to numerous National, International, and Regional sand sculpture titles, Sandscapes holds 12 separate World Sand Sculpting Championships titles. Averaging 40 sculptures annually our sculptors have created over one thousand sculptures at major venues around the world. Sandscapes manages multiple teams of sculptors located across North America. We understand how important a worry free project is for our clients. Simply put, only the most experienced sculptors become Sandscapes sculptors. This policy has been at the core of Sandscapes since it's inception.